Sign up for a monthly subscription to jamnatura for only 14.99 + tax (if it applies) & shipping costs or make a one time purchase. 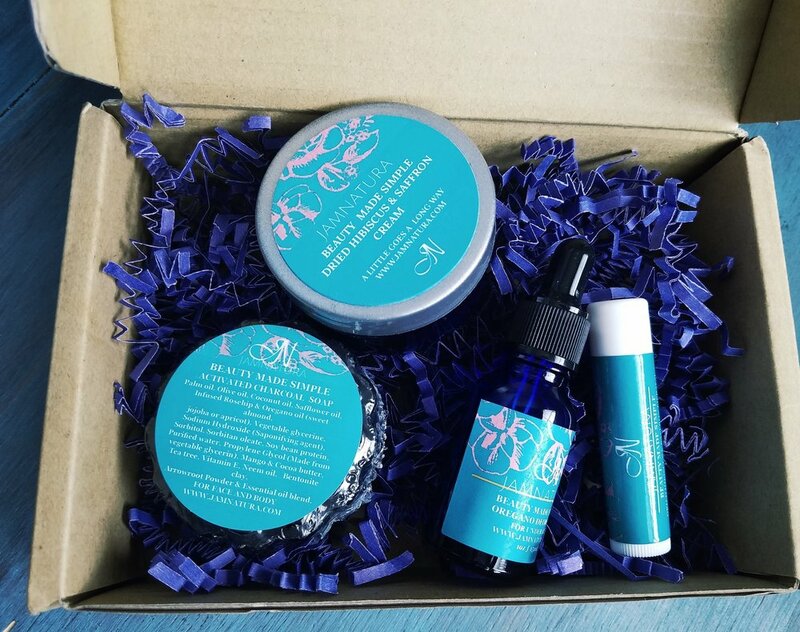 In return customers will receive sample sizes of each product, which will include a cream, serum, soap, lip balm & body scrub. Items will be sent out the on date of purchase. In order to change the items you subscribe to monthly, simply re-fill the "choose your items" form below and we will update your subscription. To cancel your subscription choose the option cancel subscription button below. GET 5 SAMPLES FOR ONLY 14.99 +Tax & Shipping. you can always re-fill this form to change your items. MONTHLY SUBSCRIPTION OR ONE TIME PURCHASE. You can cancel your monthly subscription anytime. Simply select the button below to be redirected to your profile and login to unsubscribe or manage your account. To avoid a 10% charge, cancellations should be done 10 days prior to subscription renewal.